Our product range includes a wide range of lids basins silica ware crucibles. 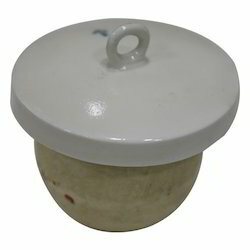 We are one of the leading suppliers of a wide range of superior quality range of Crucibles - Lids - Basins - Silica Ware. The offered products are procured from reliable and trusted vendors who us superior quality basic material and cutting edge technology in manufacturing process. Owing to that, offered products are known for features like durable finish standards and reliable performance. These are used in various applications such as Foundries, Gold Melting and others. The structure is facilitated with inside glazing and outside rough surface. Looking for Crucibles - Lids - Basins - Silica Ware ?